Lobbying for reasonable legislation is the single most important reason for our existence. Ohio Concrete was established in 1938 to combat unfair taxing of truck mixer drums and accessory weights. Since then, we have grown to a thriving Association with a full-time lobbying team providing legislative and regulatory support to members for compliance with new government regulations and to maintain a liaison relationship with governmental agencies including OSHA, OEPA, PUCO and ODOT. Political Action Committees (PACs) are one of the most valuable political involvement activities for corporations and associations. In the past several years Ohio Concrete has been able to achieve the goals set before us to help prevent legislative and regulatory action from negatively impacting our industry. We could not have accomplished these objectives without a strong member-supported PAC. Why Should You Support Ohio Concrete-PAC? It makes a difference in your company’s future. We need your support now to ensure Ohio Concrete’s access to our legislators, government officials and regulations. Ohio Concrete-PAC is funded by our members’ contributions. Contributions are discretionary and in addition to your dues. We are a state PAC and no contributions are permitted to federal candidates. PAC funds are contributed to statewide candidates who support our goals. It is important that our industry support candidates who support our issues and we are able to accomplish this through PAC funds.  You can contribute to Ohio Concrete-PAC with confidence knowing that 100% of your contribution goes toward candidate support and lobbying efforts. Decisions on which candidates Ohio Concrete should support are based on which candidates are committed to economic growth, job development and the small business agenda. Once these candidates are elected, there is a greater likelihood that the business community and the ready mix concrete industry will receive favorable consideration on our many issues and concerns. For more information, call 614-891-0210. Contributions are discretionary and in addition to your dues. By law, only individual checks should be remitted. Ohio Concrete-PAC accepts PERSONAL CHECKS ONLY, payable to Ohio Concrete-PAC. Individual contributions to a PAC fund are limited to $12,532.34 per calendar year. Contributions are not deductible for Federal Income Tax or Ohio Income Tax purposes. Enclosed is my contribution to Ohio Concrete-PAC to support legislative and other appropriate candidates who have demonstrated an interest in and support for our industry and small businesses in the State of Ohio. Make checks payable to Ohio Concrete-PAC; Mail to Ohio Concrete-PAC, 2600 Corporate Exchange Dr., Ste. 165, Columbus, OH 43231.